amount on your purchasing debit or credit card. Finally, the program is limited in the devices that they will accept on trade-in but again, this falls in line with similar programs from other manufactures. For example, you can only trade in an iPhone that is an iPhone 6 or later. From Samsung, it is limited to the S7, S8 and the Note 5 devices. To get more details on the program, head over to the Google Store. 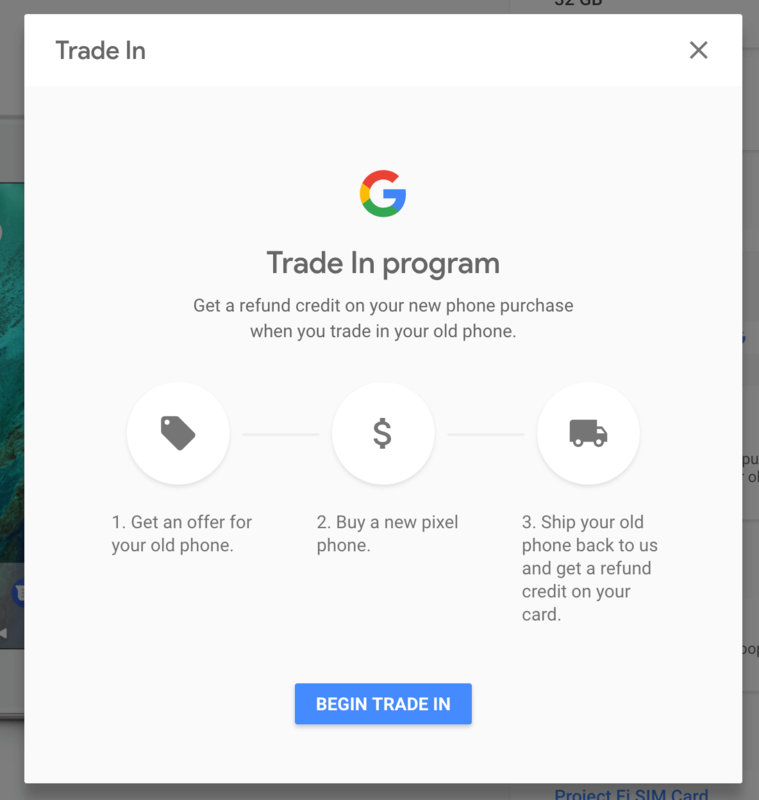 Once you start the process of buying a new phone, you will see the option to use the trade-in program.